You will need Xcode, Cocoapods and the Laravel CLI installed on your machine. Some knowledge of Swift and PHP will be helpful. Some knowledge of using Xcode, the Swift programming language, PHP and Laravel. The latest version of Laravel CLI and SQLite. A Pusher Beams instance. Create one here. 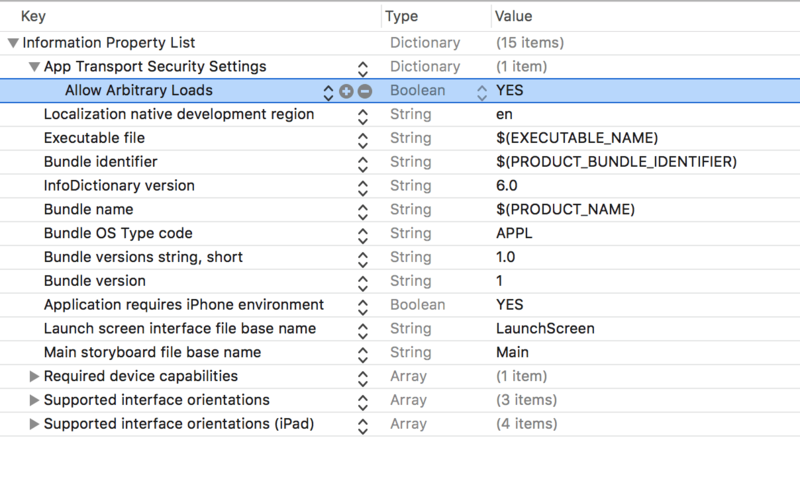 To get started, launch Xcode and create a new Single View App application. We will name it Convey. The first thing we need to do is add dependencies that the application will need to work. Exit Xcode. Alamofire - used to make HTTP calls. PusherChatkit - used to interact with the Pusher Chatkit API. PushNotifications - used to interact with the Pusher Beams API. MessageKit - used to get messenger UI and features. NotificationBannerSwift - used to show short status messages. 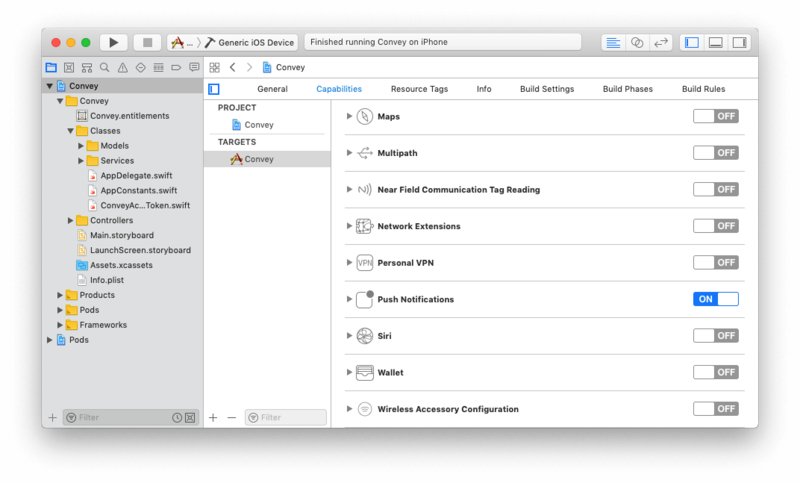 After the packages have been installed, open the Convey.xcworkspace file that was added by CocoaPods in Xcode. static let CLIENT_ID = "2"
static let CLIENT_SECRET = "PASTE_LARAVEL_PASSPORT_CLIENT_SECRET_HERE"
static let INSTANCE_LOCATOR = "PASTE_PUSHER_CHATKIT_INSTANCE_LOCATOR_HERE"
static let BEAMS_INSTACE_ID = "PASTE_PUSHER_BEAMS_INSTANCE_ID_HERE"
Above, we have created a AppConstants struct. This will be like the settings file where we will add the credentials and keys needed to make calls to our API and Pusher SDKs. You should replace the placeholders above with the actual keys from your dashboard. If you are using ngrok as suggested in part one, you can replace the ENDPOINT value with the ngrok HTTPS URL. Note though, that your URL will change every time you restart ngrok. The application will make requests to external SDKs or our backend API, so let’s create some classes that will help make these requests. Above, we have the AuthService, and it has some methods that are used for authentication defined. The first method is isLoggedIn and it checks if the user is logged in. The next method is the logout method. It logs the user out of the application by deleting the stored access token. The next method is getAccessToken, which returns the stored access tokens. Finally, we have the setToken method that saves the token. 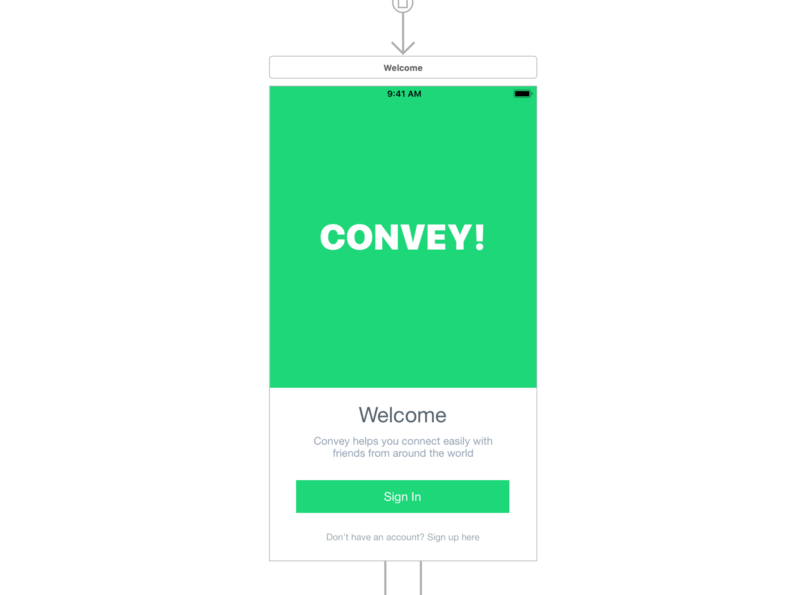 static let key = "CONVEY_TOKEN"
Above we have the ConveyAccessTokenService. This service will be used to manage the application’s access token. It implements Pusher Chatkit’s PPTokenProvider so we can use it as a token provider. In the fetch method, we get the token from the UserDefaults store. In the save method, we save the token to the UserDefaults store. The fetchToken method is implemented from the PPTokenProvider protocol. The last method is deleteToken and it deletes the token from the UserDefaults. Lastly, we defined ConveyAccessTokenServiceError, which is an enum we use for errors. login - logs a user into the application. 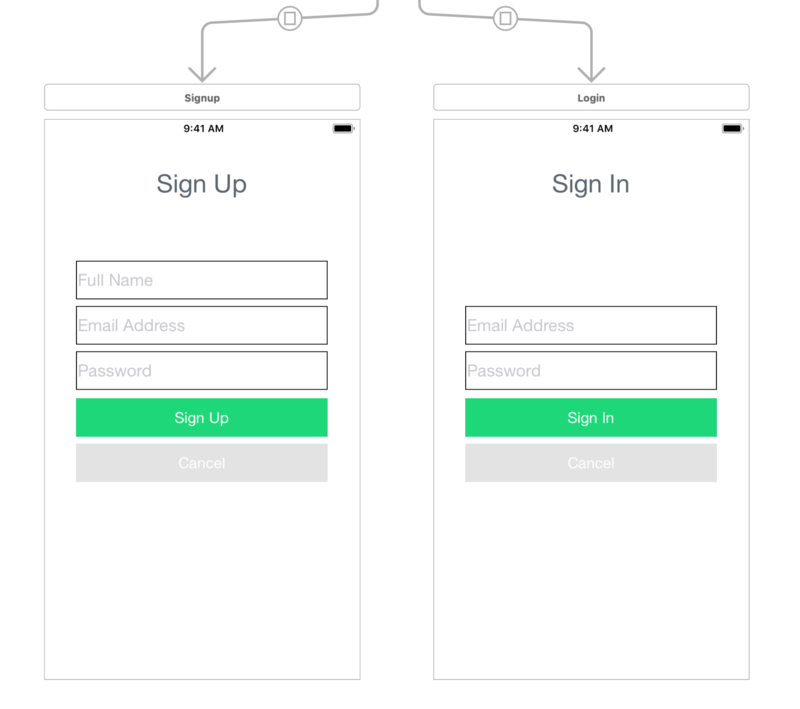 signup - creates an account for the user. addUser - adds a user as a friend. Above, we have a few classes defined above. The ChatkitService class, the CKServiceTokenProvider class, and the ChatkitError enum for errors. init - defines the chatManager, which is an instance of the Chatkit SDK. rooms - fetches and returns the available rooms in our Chatkit instance. joinableRooms - fetches and returns the rooms that the user can join. addUserToRoom - adds a user to a room and subscribes a user for push notifications on that room. notifySentMessages - pings the API to send push notifications to the user when a new message is added to the room. In the CKServiceTokenProvider we have the fetchToken method. In this method, we fetch the access token from the API. request - uses Alamofire to make requests to the API. authHeader - returns header options that are added to the request to make authenticated requests. We're done creating the services, let’s create the application’s models. Above, we defined the model for the access tokens. The api property will contain the access token for the API and the chatkit property will contain the access token for the Chatkit API. We also have the user_id and chatkit_id property for the user ID of the user and the Chatkit ID for the user. The user property defines a getter that returns a User model. We will create this model later. Next, we have other methods that are there to implement the NSCoding protocol. This is a simple struct that defines two init methods that make it easy to initialize the model. As seen on line 51 of the ChatService above, we already defined the code to subscribe a user for push notifications when messages are sent to a room. The interest for each room is the room ID provided by Chatkit. To register the device for push notifications, however, we have to do a few things. First, we need to add the capability to our application. As seen below, you need to turn on the Push Notifications capability in the Capabilities tab of your target. This will create a .entitlements file in your workspace. Above we use the PushNotifications package to register the device to receive push notifications. This will trigger a one-time-only prompt for permission to allow your application to send push notifications. If the user grants this permission, your application will be able to send push notifications. let storyboardID = AuthService.shared.isLoggedIn() ? "Contacts" : "Welcome"
In the viewDidAppear method, we get the storyboard ID depending on the login status of the user and then navigate to the appropriate storyboard using the performSegue method. Open the Main.storyboard and delete the contents. Now drag a new navigation controller and a view controller to the scene. Note: Navigation controllers come with a table view controller so make sure to delete that and add a new view controller and set that as the root controller of the navigation controller. Associate the view controller to the LaunchViewController by setting it as the custom class for that scene. Open the main storyboard and drag a new view controller scene below the launch view controller. This new scene will be our welcome controller. Add a segue from the launch controller to the welcome controller and set the identifier to Welcome. Set the custom class for this scene to WelcomeViewController. Design the storyboard as above, and then using the Assistant editor, make an @IBAction from the button to the welcomeButtonPressed method we created in the WelcomeViewController. @IBOutlet weak var emailTextField: UITextField! @IBOutlet weak var passwordTextField: UITextField! Above, we have two properties for the email and password text field. We have the loginButtonPressed method that starts the authentication process using the UserService. We also have the cancelButtonPressed method that closes the login modal. @IBOutlet weak var fullNameTextField: UITextField! The controller above is similar to the login controller we created earlier. The main difference being, this controller is used to create new accounts. Open the main storyboard and add two new view controllers below the welcome scene. Create a modal segue from the Sign in button to one of the scenes and another from the Don’t have an account? Sign up here button to the other scene. Give the segue the identifiers: Login and Signup. Set the custom class for each of the new scenes to LoginViewController and SignupViewController. Using the Assistant editor, connect the form fields in both scenes to the @IBOutlets and @IBAction methods. textfield.placeholder = "Enter email address"
let prefix = (room["channel"] as! Bool) ? "# " : ""
rooms - a list of rooms the user has joined. friendTextField - a text field where we enter the user we want to add as a friend. selectedRoom - set when the user selects a room from the list of rooms. viewWillAppear - loads the rooms from the ChatkitService and reload the table. logoutButtonWasPressed - logs the user out. addFriendButtonWasPressed - displays a popup where you can enter the user email of the friend you want to add to your list and uses the UserService to add the friend. prepare - prepares the destination view controller by setting the room to the destination view controller. With the room set, the view controller does not have to make a separate request to load the room. 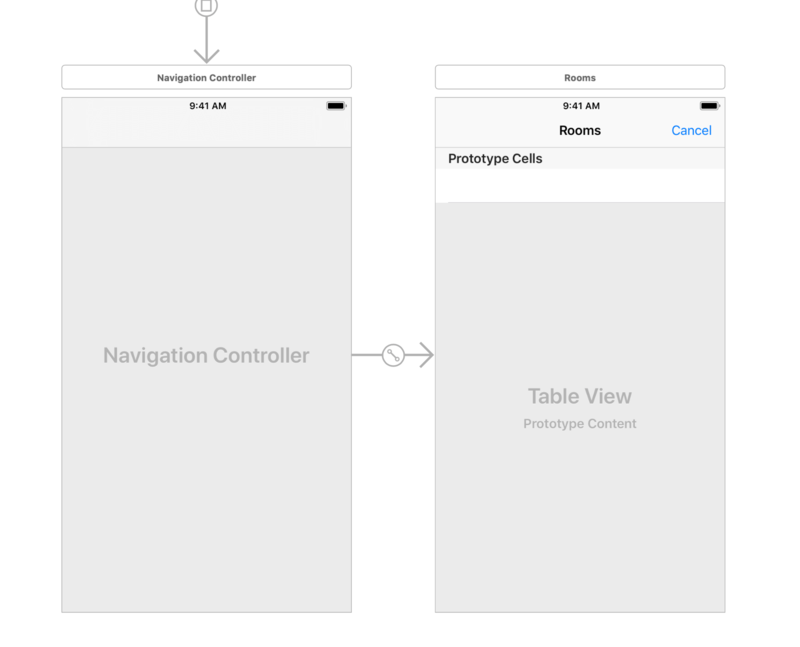 The other methods are UITableViewController specific methods that should be familiar to you. 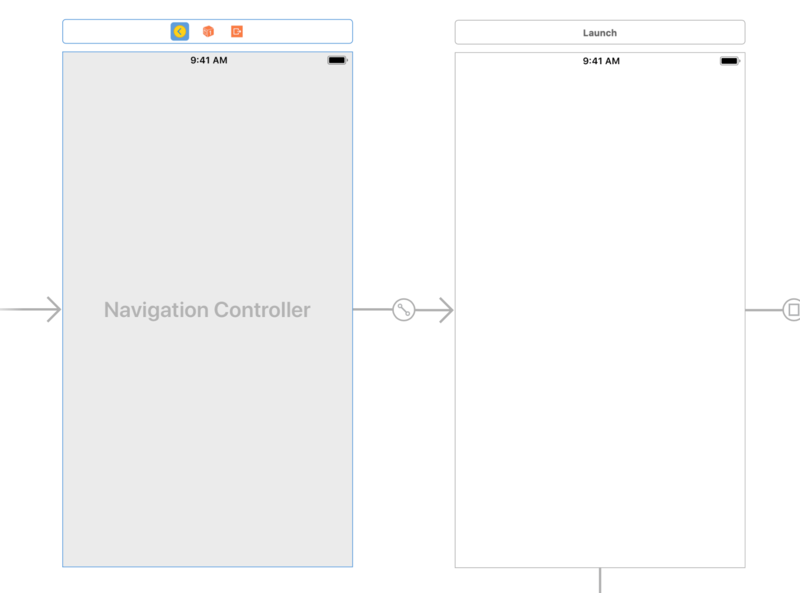 Open the main storyboard and drag a new navigation view controller beside the launch scene. The table view controller attached to the new navigation controller will be the contacts list scene. Set the reuse identifier for the table cells to contact. Make a new segue, with ID Contacts, from the launch scene to the new navigation view controller and then design the view controller as seen above. Next, using the Assistant editor, connect the @IBAction methods to the Join room, Logout, and Add friend buttons in the view controller. Set the class for the scene to ContactsTableViewController. cancelButtonWasPressed - dismisses the view controller. viewDidLoad - fetches the joinable rooms and save them to the rooms property. We then reload the table view. The rest are table view controller overrides you should be familiar with. In the last method, however, we listen for when a room is selected and we use the ChatkitService to add the room to the joined rooms for that user. 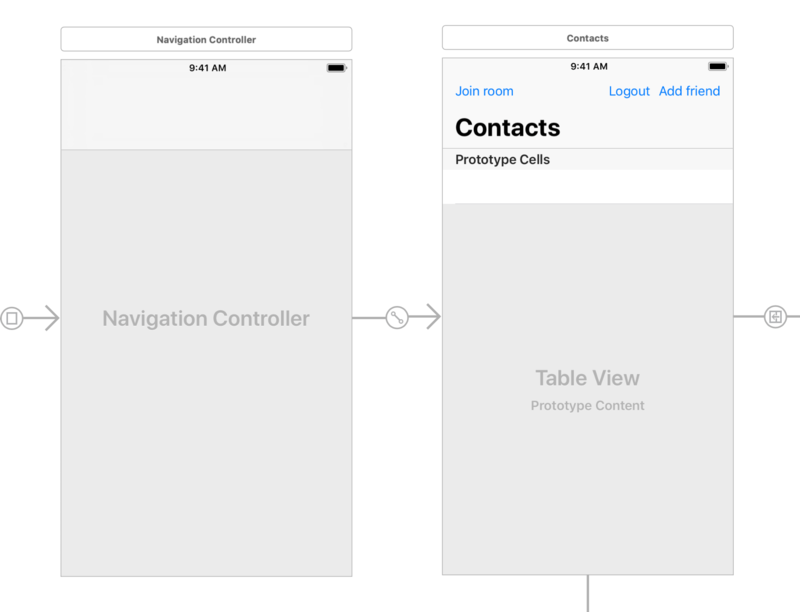 Open the main storyboard and drag a new table navigation controller below the contacts scene. Create a modal segue from the Join room button to the new navigation controller and design as seen below. Using the Assistant editor, connect the Cancel button to the cancelButtonWasPressed method and set the title of the view controller to Rooms. Next, set the custom class of the view controller to JoinableRoomsTableViewController. Set the reuse identifier for the table cells to room. In this controller, we are extending MessageKit’s MessagesViewController. This will give the view controller a messenger look by simply extending this class. However, we have some customizations to apply. messages - holds all the messages sent to this room. room - the current room details. currentRoom - the PCRoom instance. currentUser - the PCCurrentUser instance. viewDidLoad - connect to Chatkit and subscribe to the current room so we can start receiving messages. configureMessageKit - apply some custom configuration to how MessageKit is rendered in our view controller. newMessage - called automatically anytime a new message is added to the room. In this method, we convert the message to our Message model and add it to the messages property. The first extension contains methods that tweak the UI of the chat view controller and the second extension implements the method that is called when the Send button is clicked. In this method, we use Chatkit to send the message to the room and when it is added to the room, we call the notifySentMessage method on the ChatServiceController. This will then trigger a push notification to all those subscribed to the room. This extension of the ChatroomViewController continues configuring how MessageKit will render the chat UI layout. You can look at the MessageKit documentation for more. In this extension of the ChatroomViewController class, we configure the data source for MessageKit. 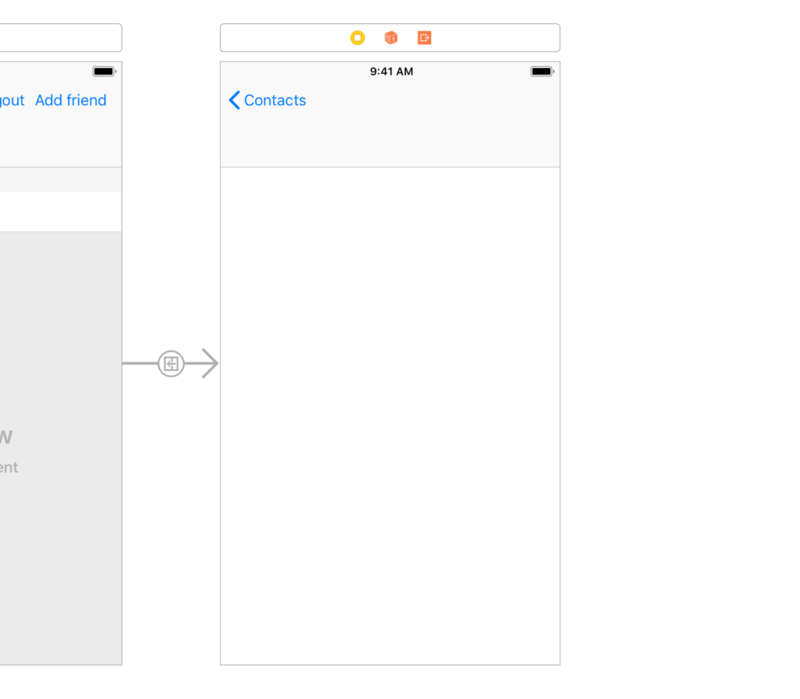 Open the main storyboard and drag a new view controller beside the contacts scene. Set the custom class of the scene to ChatroomViewController. Create a segue, with ID chatroom, from the contacts scene to the new view controller. That’s it, we have set up our application completely. That’s it now. We can run our application. To bring up the backend server, use the command php artisan serve. If you want to test the application with push notifications also, you cannot do so using the localhost address as you will have to run the application on a physical device. This will create the tunnel to your localhost and give you a web-accessible URL like we see above. Use the HTTPS URL as the API base URL. In this two-part series, we have learned how to create an iOS messenger application with push notifications. The source code is available on GitHub.